Happy Friday! 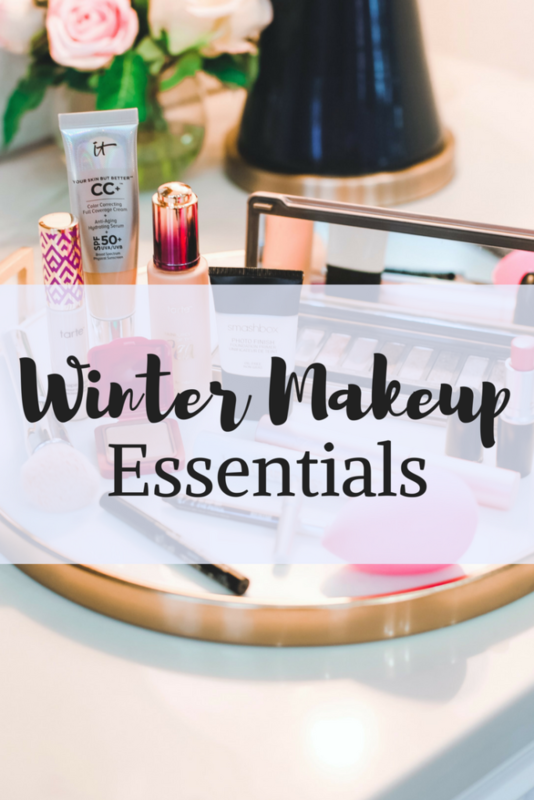 Winter is in full force so I wanted to share with ya’ll my favorite winter makeup essentials. These are the products I use on a regular basis or as I call “If I were stranded on an island” products. The products I continuously refill when they are gone because they help fight the winter skin flakiness and keep my skin looking dewy and glowing. I left blush out of the equation because this is an item I change a lot! I typically wear a different shade of blush during each season. 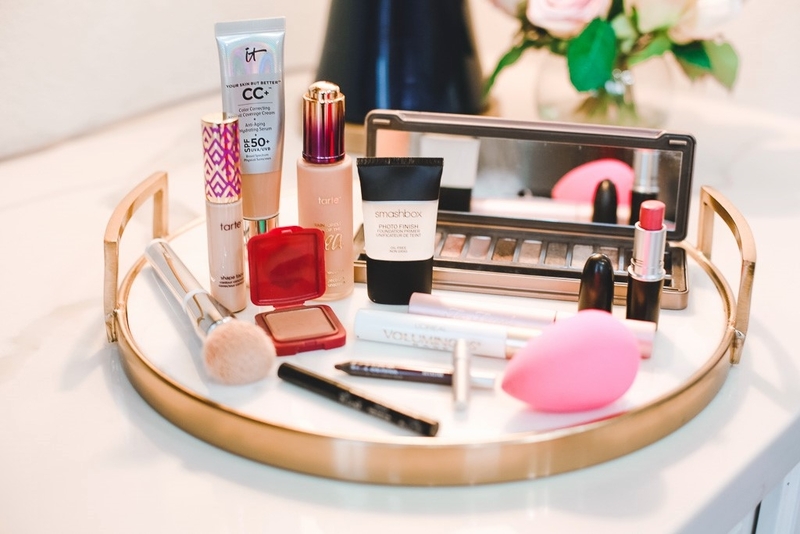 My number one winter makeup must have is a hydrating foundation. 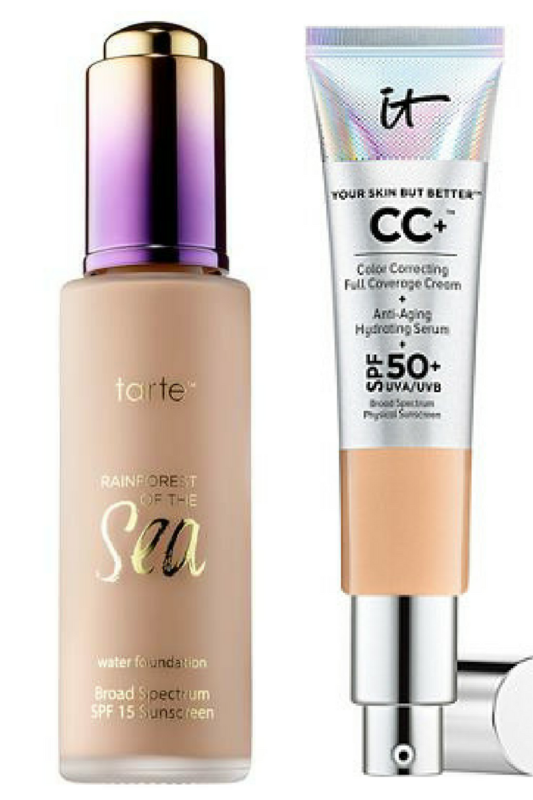 I have been using the Tarte Rainforest of the Sea foundation for a year and love how dewy it makes my skin look. 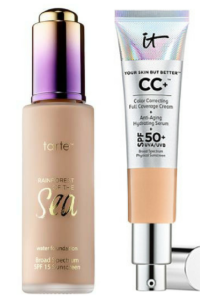 I also love iT Cosmetics CC+ Cream for a quick bit of coverage if I am in a rush. If you are getting the winter “flake” this primer will help keep your foundation and concealer smooth. I like to rub a little on my cheeks, lower eye area, around my nose and chin. 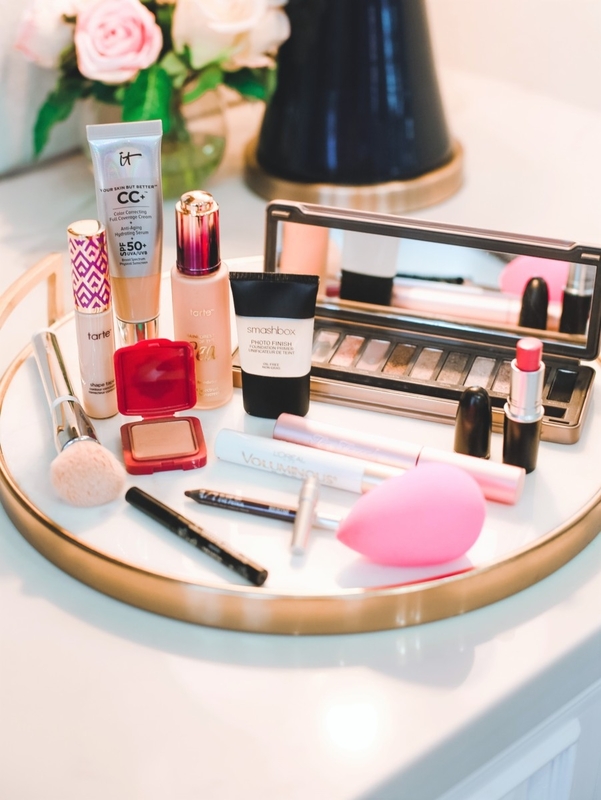 It helps keep everything in place and prevents your makeup from sliding off. This is a must have for the summer too! I cannot say enough great things about this concealer. It is a HUGE cult favorite and for good reason. 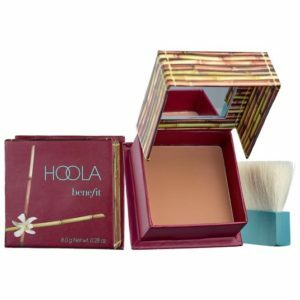 It covers and brightens the darkest circles and really gives your face a lifted appearance when you apply it in an upward triangle shape. 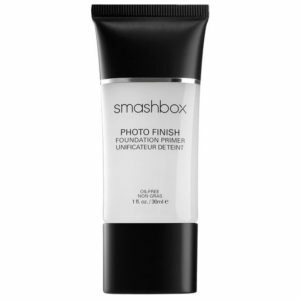 I also use this around my nose or on a blemish to conceal redness. I wear the shade- light neutral in the winter. 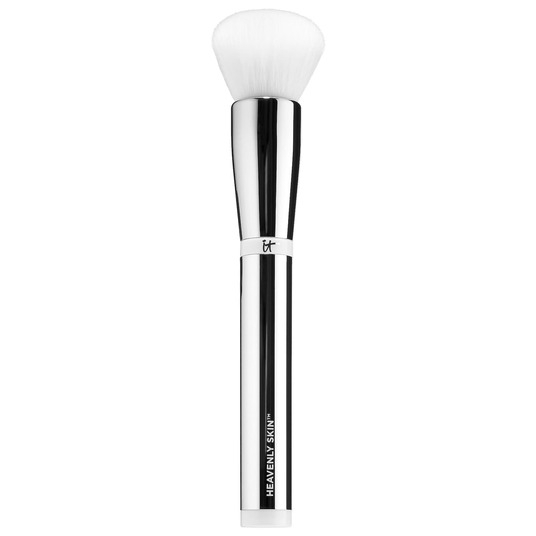 This brush is truly a slice of heaven for your skin. I use it to blend in my foundation for a flawless finish. The bristles have special anti-aging peptides and antioxidants in them to help improve the look of your skin upon application. I use this every. single. time I apply foundation. It’s quick and easy. This palette seems to be everyone’s favorite. 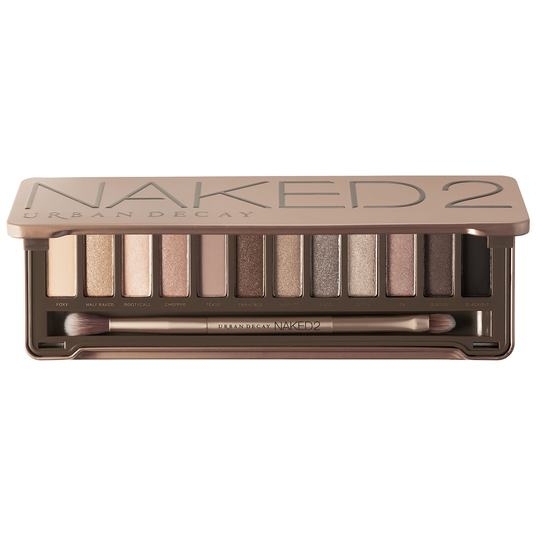 It has all the perfect shades for a neutral daytime look and a few darker shades that will take you into night time. I usually put Bootycall or Foxy all over my lid and Tease or Snakebite in the crease/outer corner. Then I use YDK or Chopper in the middle for a little shimmer and dimension. I like to line my lower lash line with Busted when going for a smokey eye. 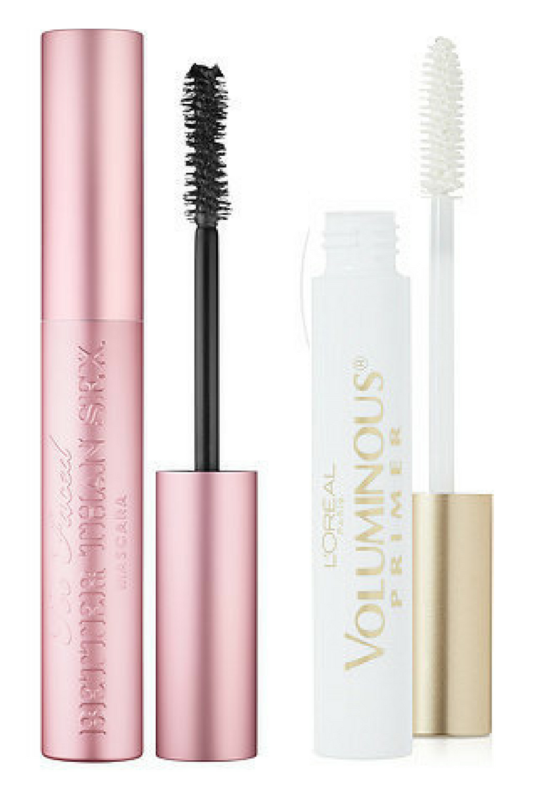 This primer and mascara duo are my go to for the longest, thickest looking lashes. First I apply 1-2 coats of the primer and let it dry for a few seconds. Then I apply 2-3 coats of mascara. My secret to keeping your lashes long is make sure you use products that keep the lash soft. When the product makes your lashes stiff they tend to break off. Waterproof mascara can be particularly hard on your lashes so try to steer clear of waterproof. 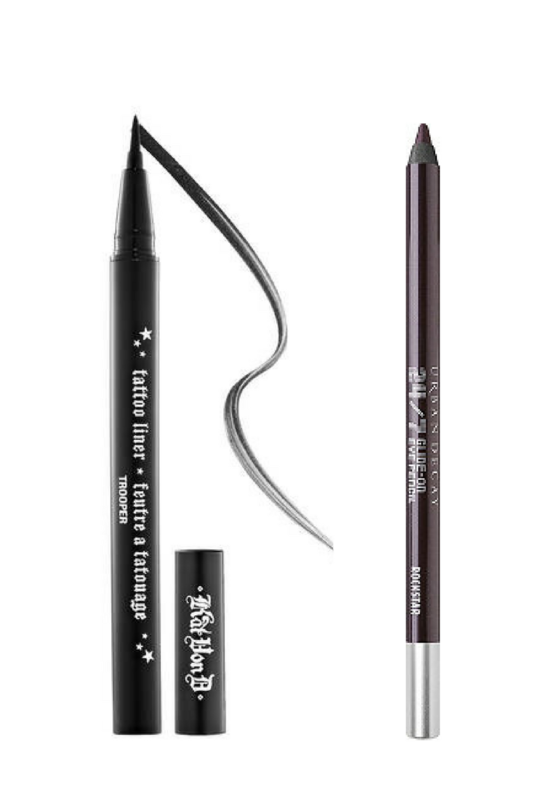 Before mascara I apply a thin layer of this liquid black liner to my upper eyelid. 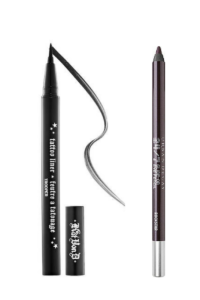 Then line my waterline with the pencil liner. I have used these pencil liners for years. They come in so many colors but my three favorites are Rockstar (dark plum), Whiskey (brown) and Perversion. (black). The winter typically leaves our skin a little drab when it comes to color. To bring life to my face I apply this bronzer to my hairline, under my cheekbones and along my jaw line. It also helps give my face definition and contour. This little baby is a must have for any makeup bag. 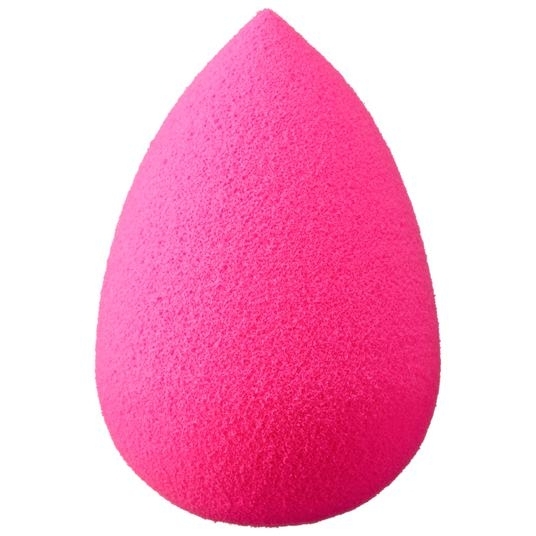 First, dampen the sponge a tad so it doesn’t absorb all of your makeup. A damp sponge also helps blend any product seamlessly. 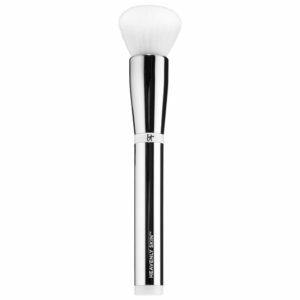 I use this to blend my concealer and then dab any spots of foundation that may have settled in the creases. To wash, use Dawn dish soap or a baby soap. 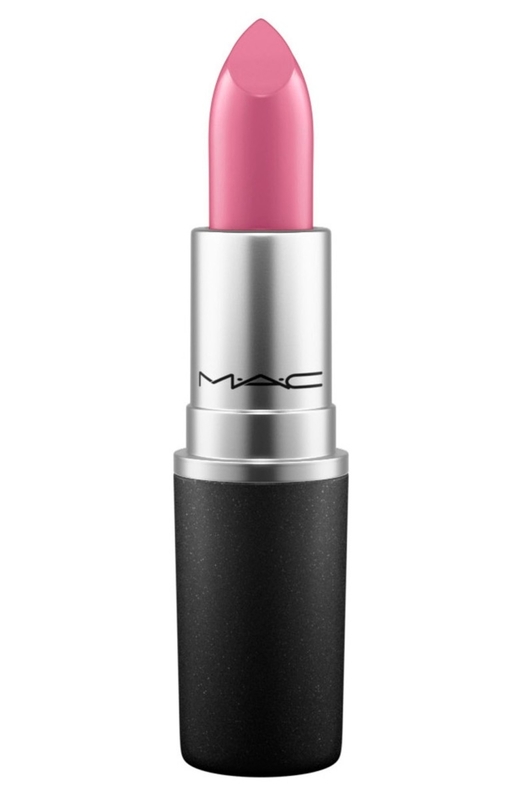 Lipstick is like the cherry on top when all of your makeup is complete. It polishes off your look and completes everything. I love this range of lipsticks because they come in so many different color options and sheens. Matte, sheer, pearlized, etc. Some of my favorite colors for everyday are Hot Gossip, Snob and Angel. 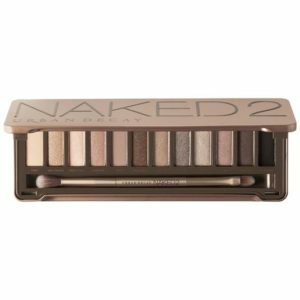 What are your makeup favorites or must haves? I love trying out new products and hearing what everyone else loves! Let me know in the comments below. I have and love the IT CC cream. I keep coming back to making sure I always have it in supply even when I am not using it all the time. For higher end foundations Chanel Perfection Lumiere (unfortunately this has been discontinued but Chanel Perfection Lumiere Velvet is also nice) and Laura Mercier Silk Crème Photo Edition Moisurizing Foundation. For drugstore Bourjois Healthy Mix Foundation (I had to buy on amazon) and Loreal Infallible Pro-Glow 24 Hour Foundation.